ELECTRONICS is the largest export of Asean, equivalent to 25 per cent of the region’s goods exports. According to the Asean Secretariat, the bulk of the world’s consumer electronics comes from the Asean region, and more than 80 per cent of the world’s hard drives are produced in Asean countries. As such, Asean should be responsive to the latest trends and developments in the global economy to remain competitive. For instance, the rising labour cost in China may stimulate the growth of the Asean electronics sector. Low labour cost will attract more foreign direct investments (FDIs) from multinational companies to the region. However, the emergence of automation and robotics may also threaten the manufacturing opportunity in the sector. How important is the electronics industry to Asean nations? Electrical and electronics (E&E) is one of the region’s most important sectors, directly employing more than 2.5 million workers, according to the International Labour Office (ILO). It is also described as a mainstay of the region’s economic growth. In Singapore, for example, Trade and Industry Minister S. Iswaran says the republic’s electronics manufacturing sector is expected to create 2,100 new jobs for professionals, managers, executives and technicians by 2020. 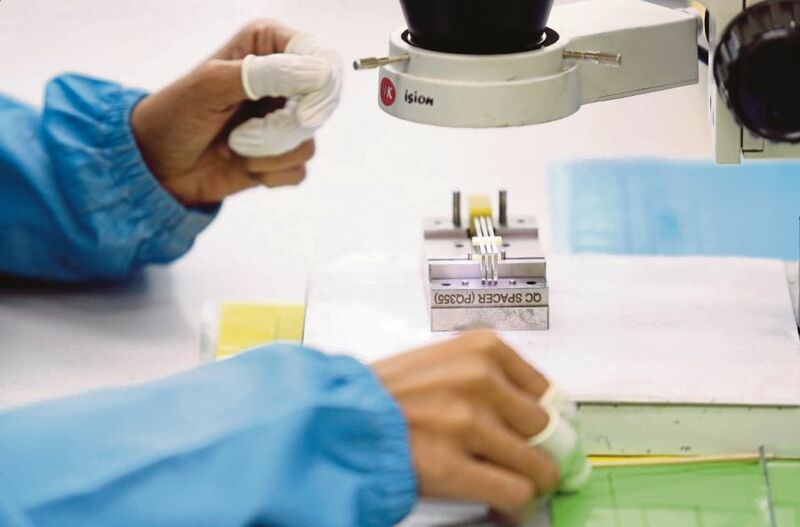 It also accounts for 4.4 per cent of Singapore’s gross domestic product (GDP) last year, generating S$90 billion (RM270 billion) in manufacturing output. According to the Asean Secretariat, Thailand’s electronic assembly bases comprised more than 2,300 companies employing 400,000 workers. Thus, the country is recognised as a global leader in production of integrated circuits, semiconductors and hard drives. Thailand is also the world’s fourth largest producer of refrigerators and second largest for air-conditioning units. The Philippines is also a top producer of hard drives and semiconductors. The Asean Secretariat data show that the country is supplying the world with 2.5 million hard drives per month, and also represents 10 per cent of the world’s semiconductor manufacturing services. Malaysia’s electronics and electrical sector has more than 1,695 companies, with a total investment of US$35.5 billion (RM141.6 billion), which can increase further through investments in research and development (R&D). Vietnam’s electronics industry is the third largest in Asean and the country is the 12th largest exporter in the world, according to advisory firm Dezan Shira & Associates. The largest Asean economy, Indonesia, is also an electronic manufacturing hub with more than 250 companies, and has attracted large corporations, according to its Investment Coordinating Board. Myanmar is also set to compete in labour-intensive industries, taking advantage of its low employee costs. Looking ahead, it is important for Asean members to anchor their policies on technology trends that are likely to transform the E&E sector. ILO has said robotic automation, 3D printing and the Internet of Things (IoT) will have significant impact on the electronics industry. Policymakers across the region should, therefore, ensure that labour skills are raised so that the sector can take advantage of its growth potentials. According to ILO, more than 60 per cent of workers in the E&E sector in Indonesia, the Philippines, Thailand and Vietnam are at risk of being replaced by automation. Although it is said that people exceed the capabilities of robots in overall assembly, robotic automation is quickly replacing low-skilled tasks like packaging and assembling. Hence, policymakers across the region should encourage the youth to pursue their education in science, technology, engineering and mathematics. Doing this will allow Asean members to possess higher-skilled labour. The impact of robotic automation in the E&E sector must be examined to determine what policies should be implemented. The Boston Consulting Group noted that there are four groups in the sector that will account for 75 per cent of robotic automation by 2025 — electrical equipment, appliances and components, computers and electronic products, and transport equipment and machinery. This projection is worthy of study given that some of its members have gained prominence in the said industry groups. The deployment of 3D printing throughout Asean’s E&E sector is another technology trend. The adoption of 3D printing should not be a surprise because there are reports that 3D-printed circuits will become commercially available soon, according to ILO. The challenge for Asean is to increase its human capital investment, considering that the application of this technology requires high-labour skills. The rise of the IoT is opening up new opportunities for the region. ILO says IoT is projected to provide significant opportunities for semiconductor companies because this technology will stimulate demand for connectivity, memory and sensors. IoT is also seen to ramp up the global annual revenue of the semiconductor industry, especially since this technology may help the E&E sector produce innovative products, like IoT integrated consumer devices. For a stronger E&E sector, Asean should include the emerging technology trends, such as 3D printing and IoT, as part of its key areas of cooperation. Such cooperation should be through investment and capacity building. Regional investment activities must be devoted to strengthening human capital to acquire high labour skills for high value-added activities. This will help facilitate the growth of the E&E sector through higher-value activities and technology upgrades. It is important to underscore that failure to invest in education and skills training might drive FDIs out to other countries. Capacity-building must also be developed among member states to enhance their electronics skills base. It can be in the form of building Asean centres of excellence in the areas of innovation, product design and R&D.